Have you found an online vendor selling Ron Centenario 12-Year? I really love the Centenario 20, 25, and 30, but I didn't have high of hopes for this, due to the low price of only $28.99 (Beltramo's 2015). However, I was pleasantly surprised. While this isn't as good as the above, it's still my kind of rum. Has a wonderful sweet caramel and brown sugar smell/taste, that is relatively simple, but extremely good to me! A tad harsh compared to the others I mentioned, but a great taste and a nice surprise for my 90th review! I understand others don't rate it as highly. However, I fully disagree. I find it to be quite smooth as a sipping rum, with very complex and pleasing flavors that are so absent in lesser rums. In fact, I'd say this is my perfect sipping rum. It's not harsh, it remains smooth when held in the mouth and has a gentle afterburn. Perfect straight up in a small glass. I'd rate it in the low 90's. Shrnutí: Za cenu kolem 550 korun v akci to není nic převratného, ale ani nic, co by zklamalo či urazilo. Celkem pohodový rum, který je ozvláštněn větrově pikantní vůní a chutí. When in Costa Rica, this is my go to - mainly because I like supporting the local economy, but it’s delicious enough to sip neat, and it’s still cheaper than anything close to comparable. Tasty, but not as smooth and refined as som other 12 year old rums. Fruity and sweet on the nose, a little vanilla note on initial taste, then there is a bit of a bite at the end. Yes, let's start saying this : I feel that this is a really big improvement over the mediocre 5-years old & simple 7-years old Centenarios (unfortunately I haven't been able yet to taste the even older versions). Sooo here we are talking about a pleasant & smooth everyday rum, with a rich, oily texture & a complicated character (not overly, though) : the balance between the caramel/cinnamon/brown sugar/dried fruits & the oak hints works just fine! A recommended rum! 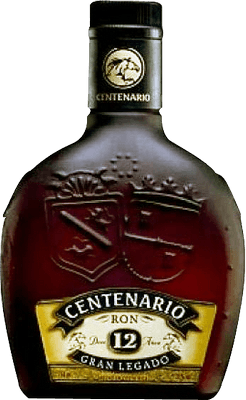 I finally came across a bottle of this Ron Centenario 12 Year Old this morning. When I got home, it was time to compare it to my Ron Centenario 7 Year Old that I rated as a 6 some time ago. This 12 Year Old is only marginally better than the 7 Year Old, but when cost is considered, is this 12 Year Old worth double the price? I think not. Don't get me wrong, it is a very good dry rum with enough complex flavors to warrant sipping. However, since there are better rums for less money, I will only buy it again if I happen to run across it at a good price. I almost put the 20 Year Old into my buggy for purchase, but am so glad that I put it back. Update October 2, 2018: I found this one again at a nearby liquor store for only $34, which now makes it a good buy. After being burned by it's sugar bomb older brother RC 20 that has 40 gpl of added sugar, I had to give this one another try. Nowhere is this listed, but it definitely has 0 gpl of added sugar, making it a dry rum. If it is transparent with no viscosity or legs, then it has no added sugar. Plain and simple!!!! A friend of mine brought this back from Costa Rica, and I've really enjoyed it. There is a bit of sweetness to it, and it's only 70 proof (35% ABV), but that might be part of its charm. If you like the Diplomatico, you'll probably like this, too. 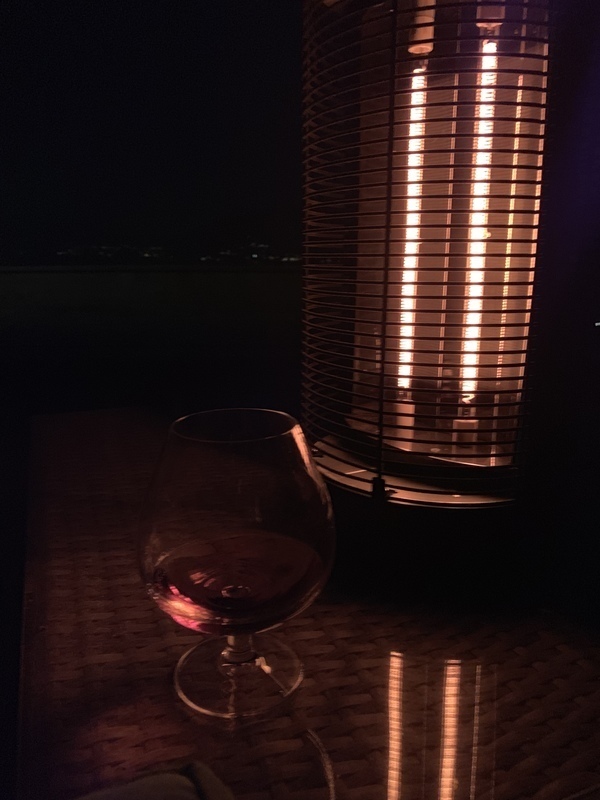 I poured it neat, and you could smell the sweetness, with a little oak and a tinge of alcohol. It has a bit of an oily mouth feel, but gives you just a little burn from the alcohol and just a hint of the sweetness. You can taste the oak and spirit, with just a hint of apricot left behind. It goes down easy. I think I'll have another. I first got this rum a few years ago on vacation in Costa Rica. I immediately fell in love with it, rich taste and a smooth finish. It is great on the rocks or mixed with coke/ coconut milk. If possible pour some into a freshly opened coconut for an authentic Costa Rica taste. El ron costarricense, es agradable, poco original, se deja tomar con un sabor dulzón. Lo tomo en Cuba Libre. For me close to a perfect Rum. Similar to Flor de Cana 12, very smooth, caramel, marzipan, decent wood, maybe a little thin but still great work. Looking forward to the older ones. This one is okay for an everyday sip, but unfortunately has nothing special. You certainly find better for this amount of money. It was the end of the bottle when tasted and was only able to pour 2cl. The bottle was opened for quite some time so very difficult to assess the real potential. Dlouho jsem po večerech při seznamování s tímto kouskem řešil jaké hodnocení vlastně dát...z rodiny Centenario mám vyzkoušeno 25 a 20 a to dopadlo velmi dobře, mezi mé favority v této chvíli patří určitě rumy značky Millonario a právě Centenario a tak jistá protekce z mé strany tu je:) ...tedy tento rum...konzistence a vůně mě baví, rum umí štípnout, je jasné že 25 + 20ka je vejš, ale s tím se počítalo. The price is very cheap less than 30€..... so what could you expect? Amber color, good mark on the glass, middle density. First impact to the nose is alcohl, but immediaty you have a sweet follow up, with vanilla,plum,almond and ginger, all smooth. In the mounth it burn, the alcohl is predominat ... all the flavor vanish in 2 second... it s not rum sorry ! Der Centenario 12 ist, wie seine großen Brüder ein sehr guter und geschmacklich ansprechender Rum. Der Konkurrent in dieser Preisklasse ist wohl einzig der Botucal - jedoch weniger süß, was aber auch sehr gut ist. Vanille und rucht, leich alkoholisch im Abgang...aber es ist ja kein Kracherl ;) Für Einsteiger und Fortgeschrittene geeignet! The taste is orange sweet, pleasant but very far from a complex rum. Unlike Ron Centenario 7, this rum has a personality that approaches its costlier siblings, the 20 and 25 (which may be sugared up but is truly a pleasure to sip). The hook is a big sweet caramel flavor that the aroma doesn't portend. If only this opening taste would linger and change into a bouquet of flowers and spices. Unfortunately, it turns to an alcohol burn too quickly. I was fortunate to find a bottle on sale for under $20 which influences my positive evaluation, but if I had to pay $38, I'd rather buy Flor de Cana 12 which is not as sweet but has a more complex follow-through.